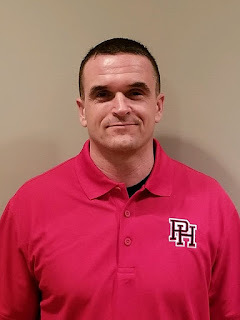 New Patrick Henry head football coach Ken Wakefield will be our special guest on the next edition of "In The Red Zone", our live, local sports talk show heard each Monday at 6pm on 102.9 The Mater (102.9 FM/1430 AM), as well as here on our website and on the @TuneIn Radio App on "Radiall"! Wakefield comes to the Patriots after six seasons leading the Culpeper County High School football team, advancing to the Class 3 state semifinals in 2018. He has been a past assistant at both Lee-Davis and Randolph-Macon. CLICK HERE to listen online Monday, or better yet, come out Sports Page Grille, the exclusive home of "In The Red Zone" this Monday at 6pm for dinner and to meet Coach Wakefield!